"I’d seen pictures of the otherworldly landscape of the sand dunes in Mui Ne prior to arriving in Vietnam. 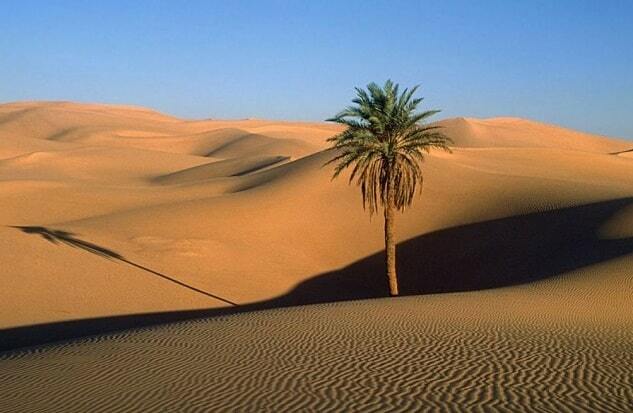 It seemed odd that a town without much to offer in terms of attractions would be home to two massive sand dunes. The White Sand Dunes are located about an hour out of town, while the Red Sand Dunes are on the outskirts. Both are typically accessed by the tours that run to both, but you can also rent a motorbike to get to both. Once I heard that foreigners can’t legally rent motorbikes, but many do." Phan Thiet and Mui Ne - traditional fishing villages and they are becoming fast a popular tourist destination. They are situated between Ho Chi Minh City and Nha Trang. They have built here along the coast beautiful hotels and resorts, but so far the locals live on fishing and that remains unchanged. Mui Ne has a long beach, is quiet and serene, great for walking, jogging and you can admire spectacular sunsets. Phan Thiet is a bit bigger. It's famous for its fish sauce, an ingredient that is used for most Vietnamese dishes. It also has a beautiful beach. There is a wide choice of accommodation and restaurants and a wide selection of seafood at very affordable prices on the boulevard. There are golf courses, beautiful pagodas, spectacular red and white dunes and a wide variety of water sports. 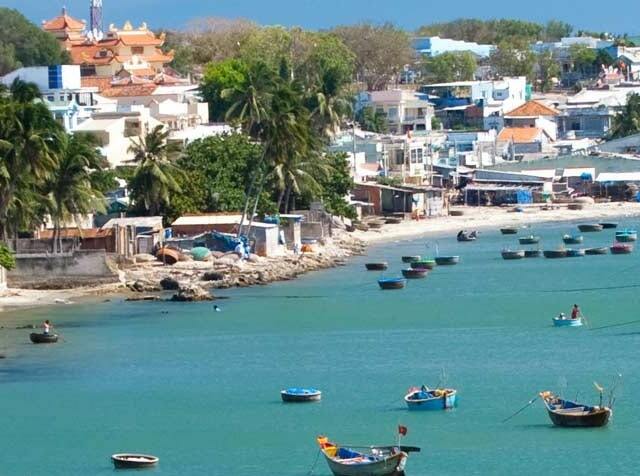 In the region of Mui Ne - Phan Thiet you will find beautiful beaches, tropical forests, Sahara-like sand dunes, a beautiful harbour and old buildings, such as the Hindu Cham towers and Van Thuy Tu Temple. Many tourists enjoy the surprisingly Sahara-like sand dunes, which are not far from the main beaches of Mui Ne. There are two fascinating dunes to watch: the white sand dunes and red ones. The White Dunes are by far in the majority and are known by the locals as "Bau Trang" or "White Lake". Restored military jeeps are adventurous transportation to drive to White Lake by the coastline. The red dunes, as the name suggests, features reddish-brown sand. This is a popular place to photograph. There are less red than white dunes, but they are easier to achieve. Sand-sledding here is a common (and fun) activity, but it's hard to determine which is the best place to do this. The sand is blown away and shifts from season to season. So it is best to look around. If you want to try it anyway, you can rent a plastic sled. It's a good idea to agree on the price beforehand. Some travellers have unpleasant experiences with the renter. So be alert and keep your head cool. If you want to try it anyway, you can rent a plastic sled. It's a good idea to agree on the price beforehand. Some travellers have unpleasant experiences with the landlords. So be alert and keep your head cool. Another interesting activity is kite flying, as well as admiring the beautiful sunset. This is the best place to listen to the murmur of the waves and feel the cool breeze while you watch a romantic sunset. A stay in Phan Thiet is more fun than in the 10 km distance Mui Ne, which doesn't have many inhabitants. Phan Thiet is a reasonable city with nearly 400,000 inhabitants. The friendly people are interested in you and you can try to have a chat with them. Also, one does not try to get you into their shops to buy anything. Try local cuisine by simply sit down at one of the food / street stalls. Wait, what dish is prepared for you, or try with hand gestures and basic English to make clear what you want to eat. Just assign a plate from a Vietnamese who has something delicious on his plate. They will prepare it for you. 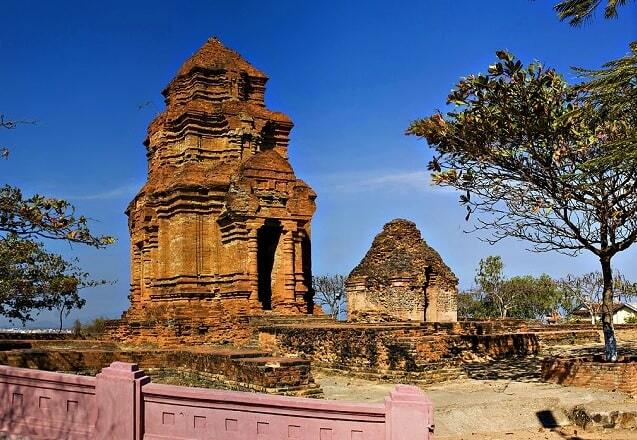 There are some Cham ruins in the area of Phan Thiet, like the Binh Thuan, which was once part of the Cham kingdom. The most notable attraction in the area is the Cham Cham Tower, a 13th century building that is situated on the road between the town and the beach of Mui Ne. Most of the people who pay a visit to Phan Thiet, come from Ho Chi Minh City. Anyway, that's about a three hours trip. The bus Station Phan Thiet is located on the northern outskirts of the city. The nearest train station to Phan Thiet is located 12 kilometres west of the town in the dusty little town of Muong Man. The Mui Ne Beach is perfect for kiteboarding and windsurfing. The pioneers of these two sports discovered the beach about ten years ago. For a long time, this area was one of Vietnam's best kept secrets. Now the secret is unraveled. Mui Ne ne Phan Thiet are becoming more familiar with golfers. The first international club opened in 1996. It was the 18-hole Ocean Dunes Golf Club. The second course was the Sea Links Golf Course, and it has 18 holes. It also includes a five-star hotel with with swimming pools, tennis courts and restaurants. Mui Ne and Phan Thiet are small towns. Which most visitors should know, that they have not a sophisticated nightlife. But most vacationers find something to they like, in order to keep the boredom at a distance. The most popular hangouts are the bars, which are run by expatriates, such as Jeeves, Beach Break (with live music), and the Pogo Mellow Bar. Pogo Bar has pool tables and is popular with kite-boarders. Pogo donates part of its profits to charity for Vietnamese children, so just have a drink for the contribution.